Our mission is to educate, excite and empower the next generation of bartenders to achieve their goals, while serving skillfully and responsibly. Full Time Program Best Value! Do you need New York State A.T.A.P. Certification for your employees? Contact us for more information. Looking for bartenders? Let us match you with some of our graduates using our job placement assistance. Our New York bartending schools feature fully functional bartending environments complete with working soda guns, glassware, and all standard bartending equipment. 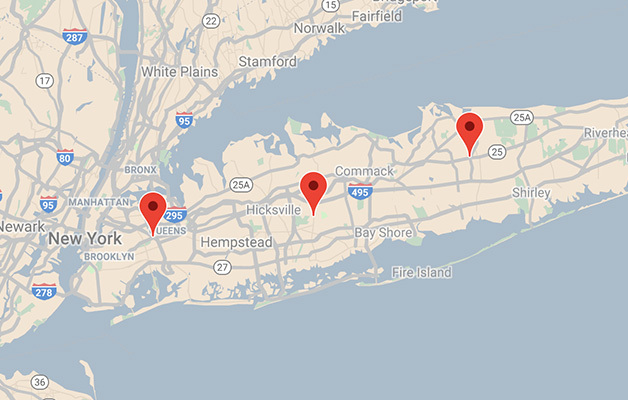 With one NYC Bartending school and two Long Island Bartending schools we have Metro NY covered. Find out more about our bartending school locations. We call to schedule your bartending class at one of our 4 locations. Take our B.A.R. Training & guest bartend for real experience. Bartending can be a fun and lucrative way to achieve your goals! Learn to bartend and start achieving your dreams! Instructores de habla hispana disponibles! Call our office Monday through Saturday, and we’ll answer any questions about ATAP and our bartending classes. Great school! I've been around the bar scene in many different facets for a long time but taking the 40 hour course really helped hone my skills and make me more confident behind the bar! Friendly, knowledgeable staff that know how to make learning fun. This course will help any person of any skill level become the bartender they would strive to be! I highly recommend! Highly recommend this place! Great hands-on experience on what it's like behind the bar, tips and tricks on how to make your drinks even better, and facts that every bartender should know. The instructors really know their stuff and can/will answer any question you throw at them. It was a wonderful experience - wish I could do it again! Great place!! Really fun and the staff is very attentive!! I would definitely be back soon!!! How do I get my bartending license? How do I get a bartending job? What are the best bartending classes in NY? How do I find bartenders for my business?